Hello from a VERY wet Manchester. It's been raining heavily non stop for 48 hours and I'm tired of it. Winter has DEFINITELY set in. 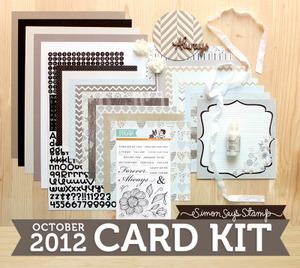 So I was very excited when my October Simon Says Stamp card kit turned up in the mail! Yay! It's a gorgeous kit... just look. And as my favourite thing in the kit was the wooden 'Always', I got straight to work making a card with it. Everything bar the ribbon, twine and button is from the kit. Great huh! Just popping in to share a card I have up on the Hero Arts blog today. 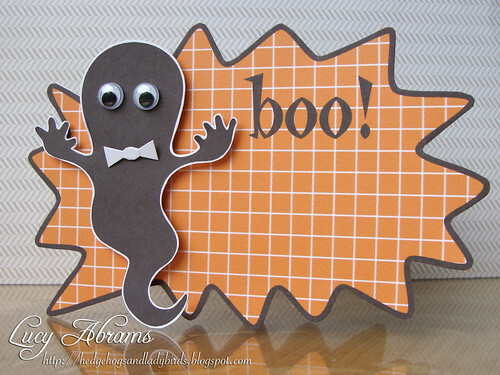 It's a fun shaped card made using the new Caption Art digikit, combined with Halloween stamps from the 'A Night for Fright' digikit. 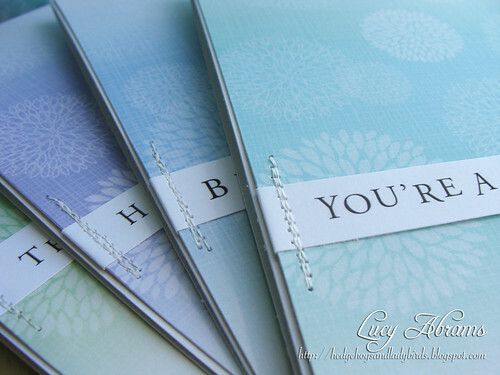 You can get full instructions on how I made the card HERE. Hope you have a fun day. It's pouring with rain here, so I think Lily and are will be stuck in all day. :( Hibernation weather. 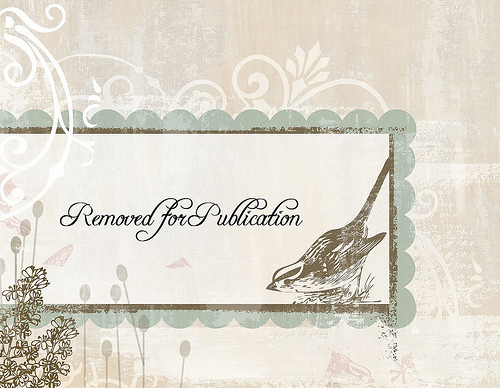 I started with the cute doily sticker, then added the butterfly, button and sentiment which is from the Hero Arts Heyday Sentiments set, stamped with Wet Cement ink. Love this colour. The woodgrain paper is from THIS pad. P.S. For those of you who asked, Ombre means colour gradient - i.e from light to dark in the same colour. Have a great day, more to share soon. P.S. 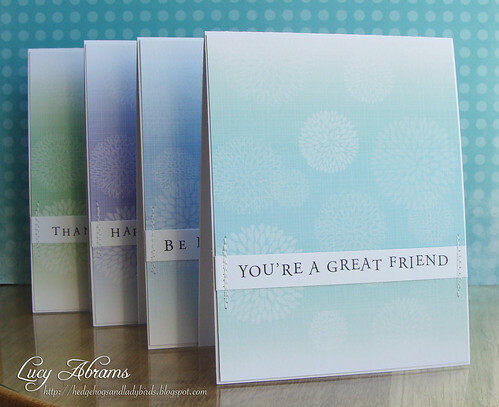 I've just added this card set plus my Paper Doll cards to my Folksy shop. Click on the links below to be taken to the shop. Hi. I've got another card to share made using Hero Arts new Paper Dolls Digikit. I love this dress, it's so pretty! So I made it big - about 5 x 5", and printed it onto some Echo Park Sweet Day digi paper. 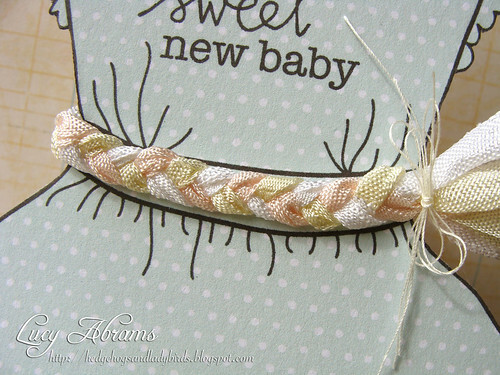 The sentiment is from the Newborn Greetings kit and I added a plait of seam binding, and some sweet punched hearts.